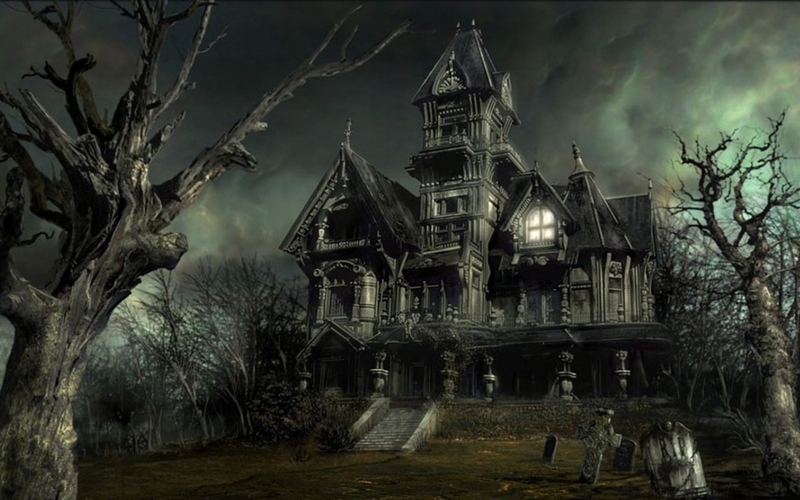 Haunted House. . HD Wallpaper and background images in the हैलोवीन club tagged: halloween haunted house. Now this is a place I would steer clear of. The tombstones in the front yard don't help either.